PennsylvAsia: Dinh Q. Lê lecture at CMU School of Art on March 4, discussion at Carnegie Museum of Art on March 5. Dinh Q. Lê lecture at CMU School of Art on March 4, discussion at Carnegie Museum of Art on March 5. 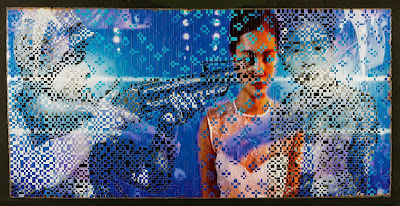 Dinh Q. Lê, from the "Vietnam to Hollywood" series, via Blendspace. Born in Vietnam during wartime in 1968, artist DINH Q LE moved to the US at 10 years old and was brought up amid Western depictions of his homeland. 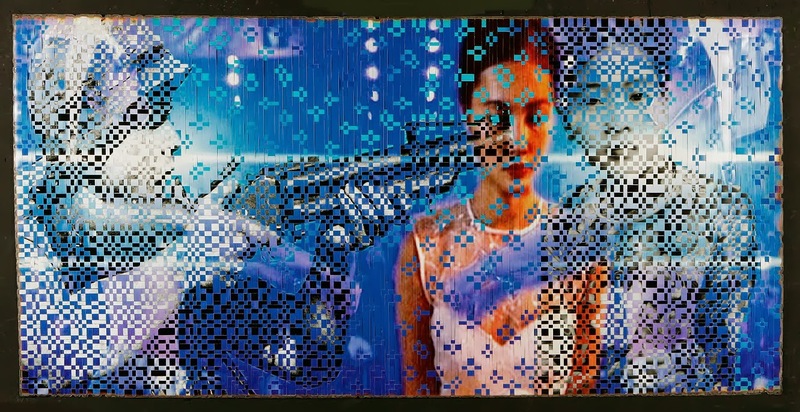 In his artistic practice, Lê developed an innovative multidisciplinary technique that combined traditional Vietnamese craft with images and fragments of history and modern truths. His work continued after he returned to Vietnam in his 20s, where he examined complex and contradictory topics such as the continuing legacy of the war and the marketing of Vietnam as a tourist's paradise. Lê is the co-founder of the Vietnam Foundation for the Arts, which initiates artistic exchanges between Vietnam and the West, and Sán Art, the first independent not-for-profit art space in Ho Chi Minh City. In 2010, Lê was the recipient of the Prince Claus Award. He will discuss past projects and his work for the 2013 Carnegie International. Explore Dinh Q. Lê’s work in the 2013 Carnegie International in greater depth. Life and Belief: Sketches of Life from the Vietnam War, an installation of 100 drawings and paintings made by Vietnamese artist-soldiers on the front lines of the Vietnam War accompanied by a documentary film, will be the starting point of a discussion focused on art, war, and image. Lê, who will speak to the artists’ inside interpretation of the war, will converse with Dr. Daniel Lieberfeld, associate professor at Duquesne University, and Dr. Philip Nash, Vietnam historian and associate professor of history at Penn State Shenango, about the power of images during and after the conflict. Lê will also discuss his follow-up companion project to this piece—a look at the non-communist artists and their lasting legacy. Exhibition co-curator Dan Byers will moderate the discussion. Cosponsored by Carnegie Mellon University School of Art and Jeff Pan. The discussion runs from 6:30 to 7:30 p.m. and is free with admission to the museum.